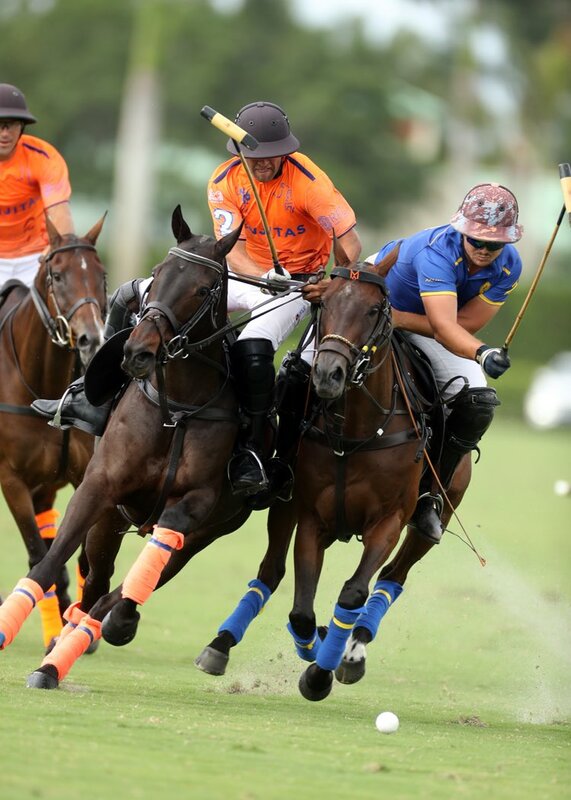 Player panel (L to R) Carlucho Arellano, Jared Zenni, Agustin “Tincho” Merlos, Luis Escobar. 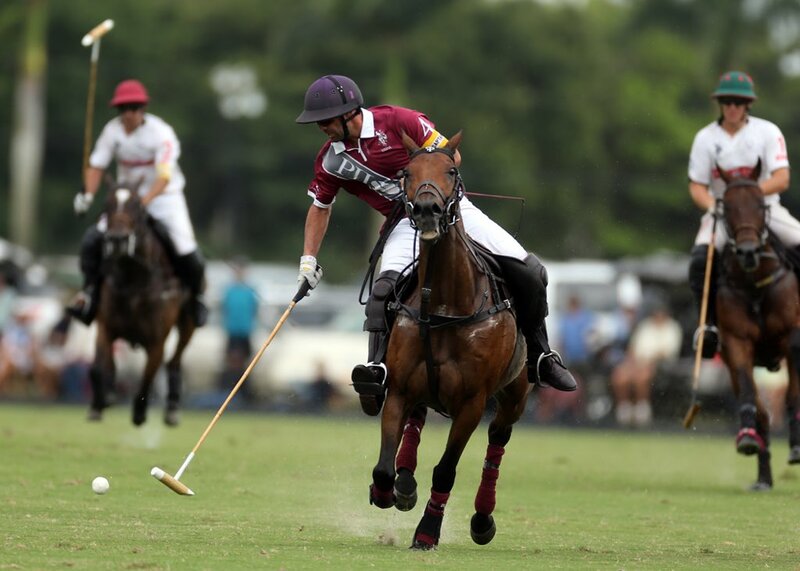 Additionally, Jared Zenni (Daily Racing Form), Agustin “Tincho” Merlos (Tonkawa) and Luis Escobar (Santa Clara) were present to answer questions from USPA Executive Director of Services Carlucho Arellano and the press. 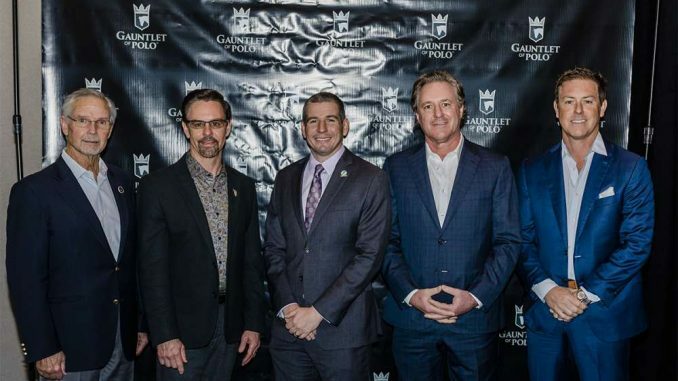 Henry Porter (Stable Door Polo) and Stevie Orthwein (Old Hickory Bourbon) also attended along with other players to share their excitement about the upcoming GAUNTLET OF POLO™ tournament series. 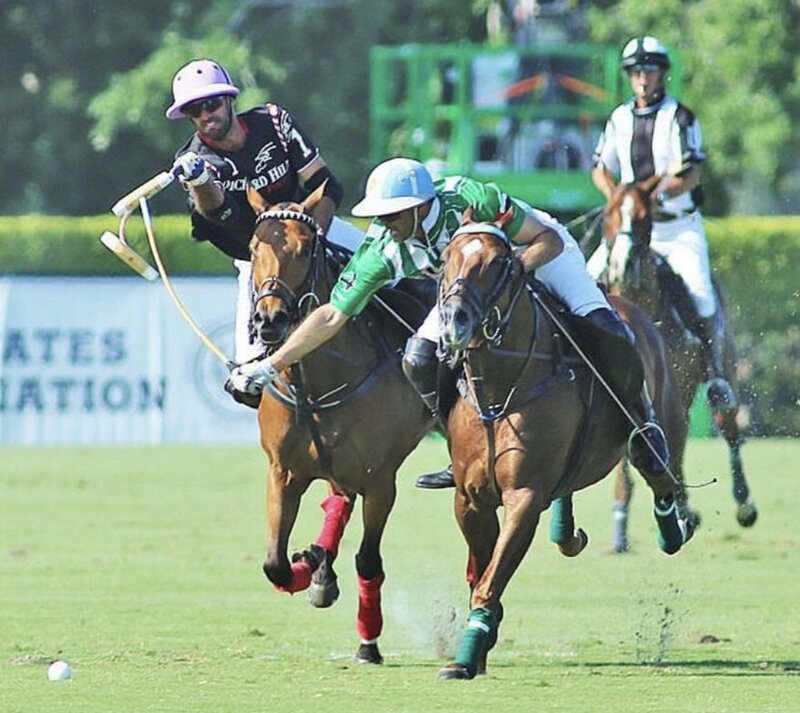 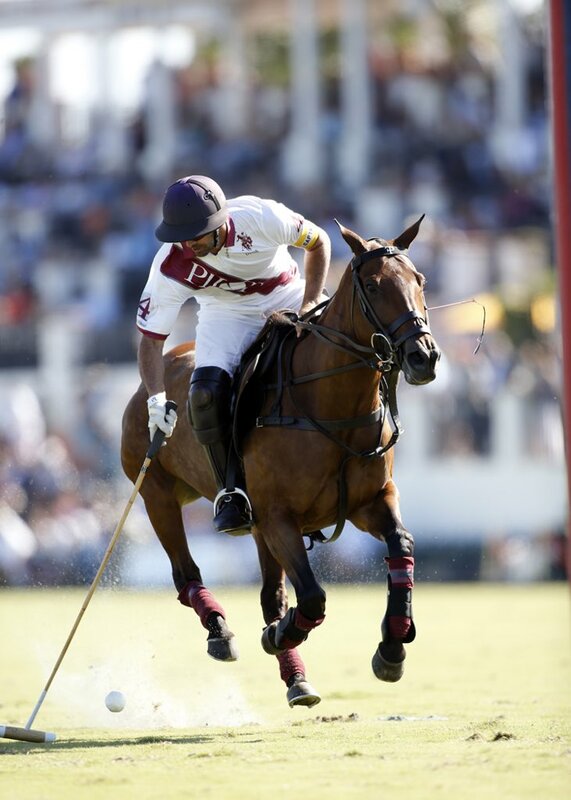 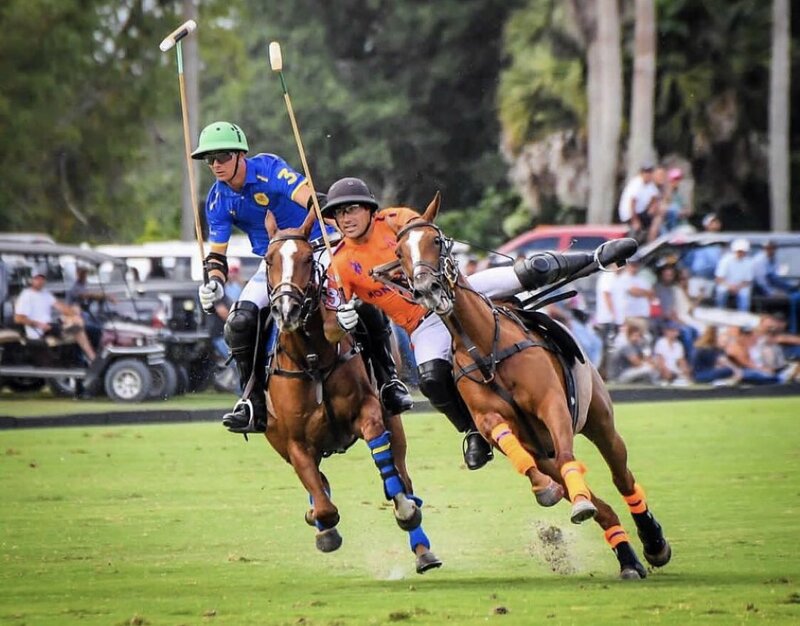 The GAUNTLET OF POLO™ trophy was unveiled with three horses to represent the three events guarding a tower that supports the Gauntlet logo with an inlaid onyx polo horse head to recognize the sport’s equine partner. 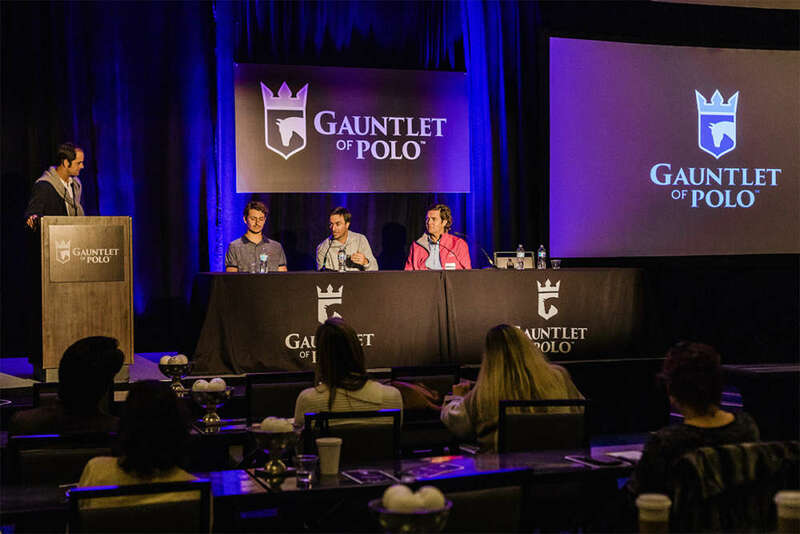 Through this prize, future generations of competitors, fans, media, and sponsors will recognize the sacrifice, skill and commitment it takes to have your name inscribed on this trophy and be crowned the Gauntlet Champion.